ConnectSport is working with the Sport for Development Coalition to create a monthly 'call for articles' around a particular theme or subject area. 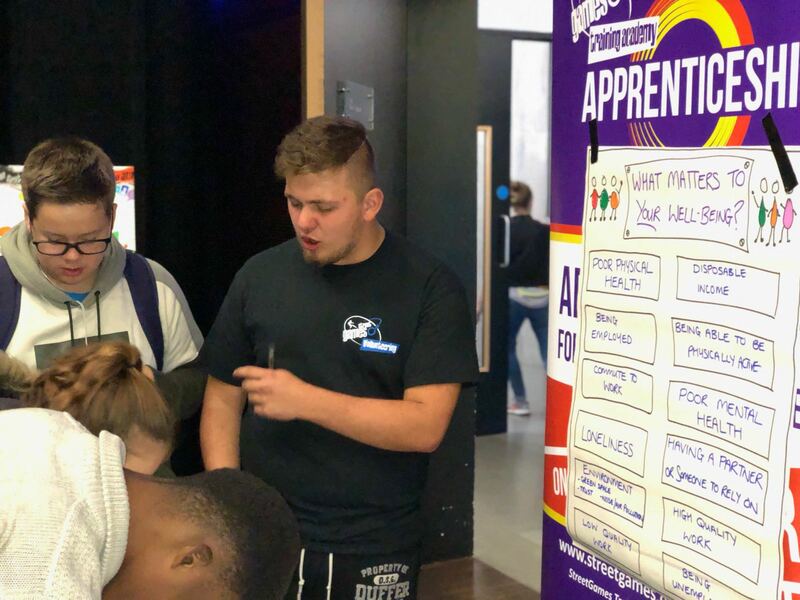 Throughout November 2018 we are publishing articles which focus on 'employability through sport', and here Paul Kendall, National Apprenticeship Manager at StreetGames, talks about the charity’s work around community sport apprenticeships. To submit an article, contact hello@connectsport.co.uk. StreetGames recently welcomed more than 90 eager attendees to its annual Youth Conference in Westminster. For those that took part, this event was very much a beginning – a chance for them to engage in a range of learning, networking and animated feedback sessions, which left them all “thinking about their futures”, according to one, following “a really great day”. As StreetGames National Apprenticeship Manager, seeing feedback like this is always a treat, but for those of us tasked with empowering the youth of tomorrow, these events are less of a beginning and more of a culmination – a chance to look back on three years of work, and to appreciate just how far we’ve come. Three years ago, StreetGames embarked upon an ambitious journey to develop new community sports apprenticeships. The apprenticeships, created with a range of industry partners as part of the Government’s new ‘Trailblazer’ programme, was developed through a comprehensive consultation process which involved many hundreds of hours of input, gleaned from over 20 employer organisations. Their diverse and expert insight was as vital as it was revelatory – the result of a new and highly-successful collaborative approach, designed to create a more engaged and skilful workforce – one capable of working with young people to achieve positive social change. 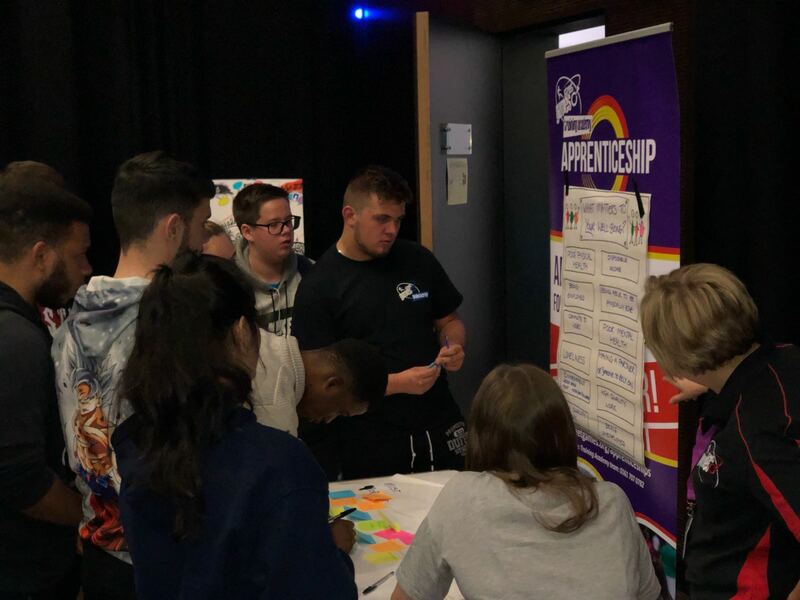 Approved by the Government in January 2018, the resulting Apprenticeship Standards were designed to meet the needs of an ever-changing industry, and of the young people, volunteers and projects that StreetGames works to support. Both will ensure that each apprentice masters the skills, knowledge and behaviours required to successfully deliver in their roles. To achieve this, the Standards draw together skills and knowledge typically associated with public health; sports coaching; sport development, and youth and community development work. As such, the new Community Activator Coach (Level 2) and Community Sport & Health Officer (Level 3) qualifications promise to redefine and reinvigorate existing apprenticeship practice. Level 2 Community Activator Coaches will be responsible for taking the lead in delivering fun, inclusive and engaging activities – intended to change sedentary behaviour and promote a more physically active lifestyle. To that end, apprentices must learn how to activate groups in inactive communities and to mobilise the power of sport to achieve ‘sport for good’ outcomes. The CSHO (Level 3) role, meanwhile, directly involves apprentices in the creation of local programmes designed to make a real difference to their target neighbourhood. Apprentice CSHOs are taught to master the ‘asset-based approach’ to community sports development, and to promote physical wellbeing. The programme supports the apprentice to properly scope, organise and co-ordinate the delivery of community-based opportunities, in conjunction with private, public and Third Sector partners. StreetGames has been delighted to lead the development and delivery of these roles, and feels confident that both new Standards will meet the needs of the various businesses and organisations which make up the youth employment landscape. In the future, we hope to continue to grow our delivery of these Apprenticeship Standards throughout the country, and to see even more well-established training providers embracing these improved Standards. Many already have! As a charity, StreetGames began this journey with a simple goal; not to make money, but to support young people through the offer of high-quality training and pastoral support. At StreetGames, we will always support the needs of young people from lower-socio economic communities, on their own personal journeys from childhood all the way to becoming happier, healthier and more empowered young adults. Both of the new standards are published and approved for delivery on the Institute for Apprenticeships site, which also includes the final assessment plans. To find out more visit streetgames.org/apprenticeships or employers can express their interest here. Email apps@streetgames.org.